Frank Waln live in Harvard Square. 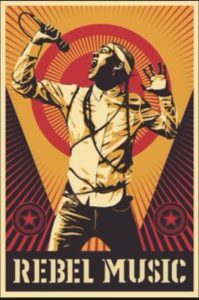 “Lakota hip hop artist Frank Waln will perform in Cambridge MA, Harvard Square at Winthrop Park. 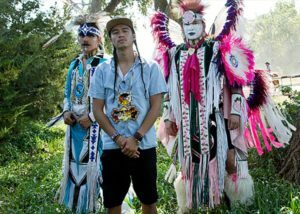 Frank Waln is an award winning Lakota Hip Hop artist, producer, and audio engineer from the Rosebud Rez in South Dakota. A recipient of the Gates Millennium Scholarship, he attended Columbia College Chicago where he received a BA in Audio Arts and Acoustics. 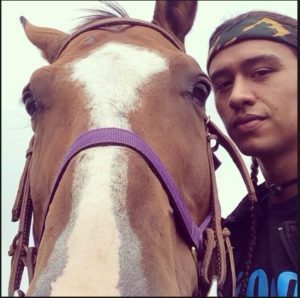 Frank Waln – Lakota- with his ride on the Love Water, Not Oil tour! His awards include three Native American Music Awards, the 3Arts Grant for Chicago Artists, and the Native Arts and Cultures Foundation 2018 NationalArtist Fellowship for Artistic Innovation.